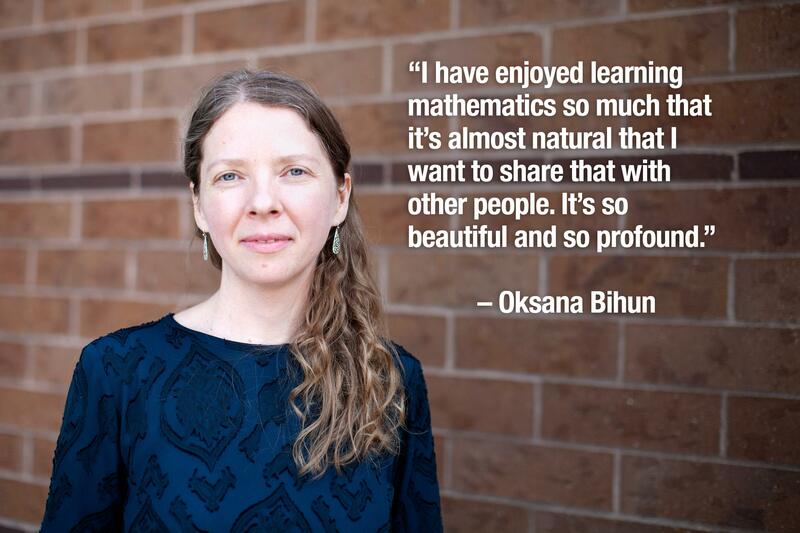 Math is more than numbers and equations for Oksana Bihun. It helps her connect with what’s around her, sights and sounds she might not otherwise notice. Bihun, a UCCS assistant professor in the Department of Mathematics, was first drawn to math in a high school geometry class. She was fascinated that statements that aren’t obvious can be derived from axioms, which are mathematical truths accepted without proof, involved nothing more than pencil, paper and logical reasoning. She grew up in Lviv, Ukraine. Both parents were physicists, her father a professor and her mother a researcher. One of her earliest memories is of rows and rows of books in the family’s apartment. Shelves stretching an entire living room wall held books from floor to ceiling. More lined a bedroom wall. Encyclopedias, novels, books on history, biology, chemistry, diseases, languages, nearly everything. Bihun used them from the time she was a child until she graduated from college. Even now, she remembers where certain ones were kept. As a child she couldn’t make sense of many of the titles, much less what was on the pages. But being surrounded by so many books fed her curiosity. She learned to be comfortable with what she couldn’t yet comprehend. 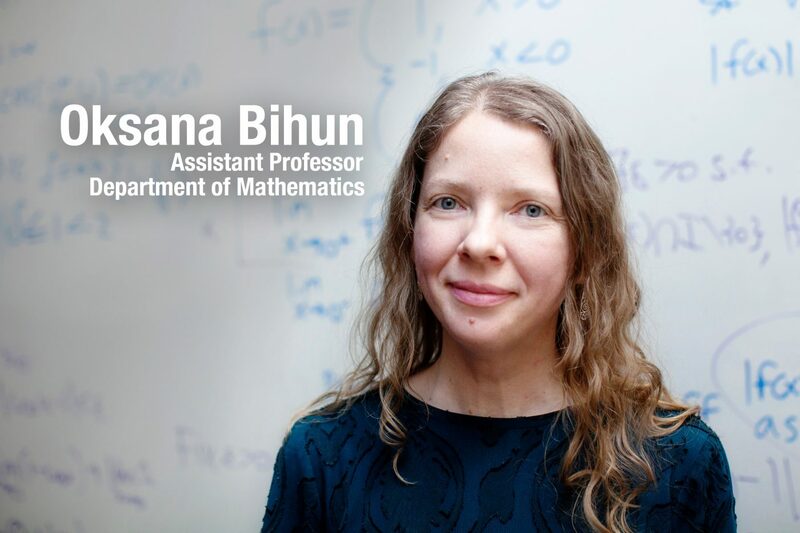 In 2001, Bihun earned a specialist in applied mathematics degree with a distinction of excellence from the Ivan Franko National University of Lviv, then spent a few years there as a teaching and research assistant. Looking for other opportunities, she browsed an information board in the math department and spotted a posting for a Ph.D. program at the University of Missouri in Columbia. It encouraged women and minorities to apply, prompting Bihun to pursue it. She was accepted. Leaving home for the United States was her first time on an airplane. 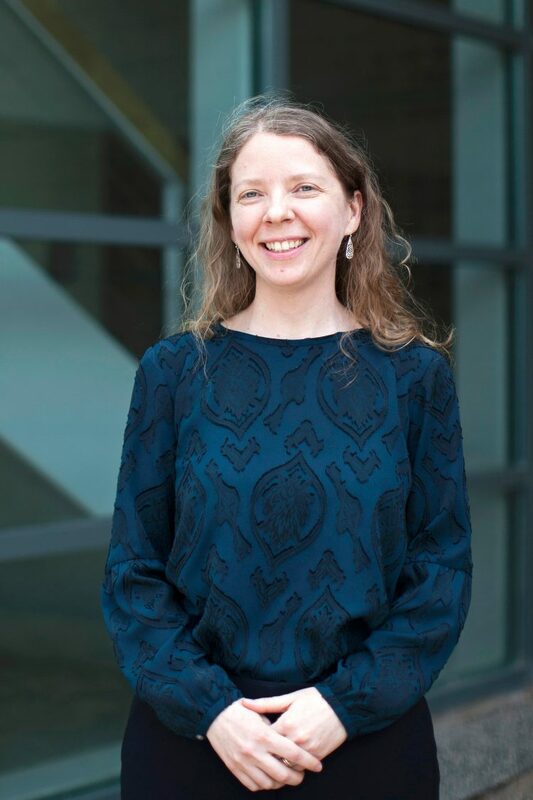 As a teaching and research assistant at MU, she earned a doctor of philosophy in mathematics in 2009. She was an assistant professor at Concordia College in Moorhead, Minnesota, for six years before joining UCCS in 2015. She has authored 28 peer-reviewed publications on math and 23 abstracts and conference proceedings. A focus of Bihun’s research is dynamical systems, which describe an evolution of certain quantities over time. An example is five celestial bodies moving in space, their positions subject to gravitational forces and other factors. A dynamical system predicts where the bodies will be at a certain point in time. Bihun enjoys writing poetry in Ukrainian, her native language, and playing piano, guitar and bandura, a Ukrainian folk instrument similar to a harp. She started music school at 6 years old and considered a career as a musician. But math had a stronger hold on her. Caitlin Randall, a senior math major at UCCS, was impressed that during both classes she took, Bihun offered an anonymous survey midway through the semester to gauge what students needed to succeed. Bihun is struck by math’s discoveries and truths. Take the Pythagorean theorem, dating back thousands of years. It states that the sum of the squares of the legs of a right triangle equals the square of the side opposite the right angle. Still used today, it was true even before it was proven. I never met such a diversly talented and creative young woman, being fascinated in mathematics as a poetry she writes with great love to life and to people!